ADD PWM BOOST: NO, THANKSYES (+$39.00) Sorry, this item is currently out of stock. This is our turn-key ECU package for those wanting to use the Hondata S300V3 with OBD1 P72 Integra GSR ECU to tune their car. Includes a specially prepared HA Motorsports OBD1 P72 ECU with full IAB control and knock board for applications with an intake manifold that requires IAB's (ie: GSR, H22, etc). 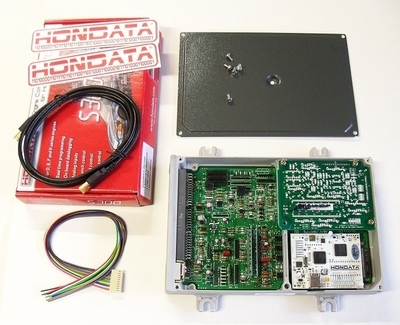 The Hondata S300 system is fully installed into the ECU and completely tested for trouble-free operation. If you'd like to use the electronic boost control features of the S300 system, please select to "add PWM boost" from the drop-down menu before checkout. Allows complete engine control and tuning - complete tunability of fuel maps, ignition maps, vtec engagement, two-step rev limit, and so much more! 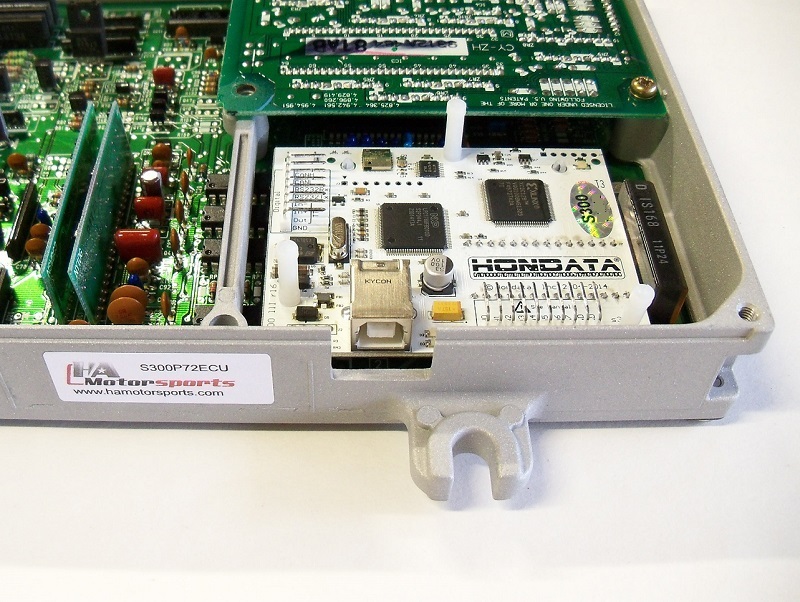 P72 ECU includes knock sensor circuitry to allow further tuning and ability to counter-act detonation/pinging. P72 ECU includes IAB circuit to allow controlling the secondary intake runners on Integra GSR intake manifolds as well as H22, etc. Additional inputs and outputs so the tuning platform can be customized to your engine setup (ie: nitrous control, etc). PWM Boost control can be added to allow boost control directly through the software. Please simply select "ADD PWM BOOST" from the drop-down menu. 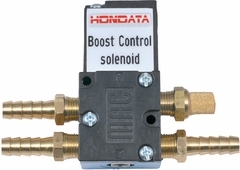 Fully installed and tested new Hondata S300 V3 system. 6 foot USB cable for controlling the ECU from your laptop. Many engine basemap programs are included free within the software to choose from. Internet connection to register the system for first use. 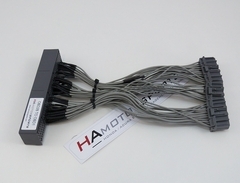 HA Motorsports OBD2B to OBD1 ECU jumper/conversion harness for installing an OBD1 ECU into an OBD2B chassis. Uses all new OEM connectors for OE quality fitment. 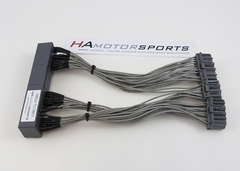 All HA Motorsports ECU jumper harnesses use cross-linked automotive TXL wire that exceeds OEM specifications and is extremely durable. Allows a painless conversion from an OBD2B ECU to an OBD1 ECU.